How dysfunctional is the Simpson family the 29th season of The Simpsons TV show on FOX? As we all know, the Nielsen ratings typically play a big role in determining whether a TV show like The Simpsons is cancelled or renewed for season 30. Unfortunately, most of us do not live in Nielsen households. Because many viewers feel frustration when their viewing habits and opinions aren’t considered, we’d like to offer you the chance to rate all of The Simpsons season 29 episodes here. 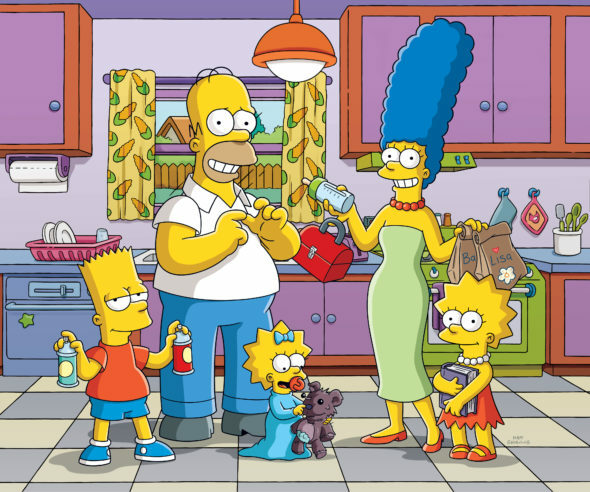 An animated FOX sitcom, The Simpsons features the vocal talents of Dan Castellaneta, Julie Kavner, Nancy Cartwright, Yeardley Smith, Harry Shearer, and Hank Azaria. The comedy centers on the dysfunctional Simpson family, as well as their neighbors, friends, and life in the fictional town of Springfield. What do you think? Which season 29 episodes of The Simpsons TV series do you rate as wonderful, terrible, or somewhere between? Should FOX cancel or renew The Simpsons beyond its 30th season? Don’t forget to vote, and share your thoughts, below. More about: The Simpsons, The Simpsons: canceled or renewed? I can’t imagine Sunday night’s without the Simpson’s. Keep the Simpson’s and get rid of family guy.